Choice is good, but trying to figure out the best fence option to go with can be frustrating. Personal preferences, project budget and availability can all weigh down on the decision making process when buying a fence. I thought it may be beneficial to put together a list of pros and cons for choosing an aluminum fence and share them with you. I did not want to throw the ‘maintenance free’ terminology up there since that’s a bit untrue in my opinion. Aluminum still needs to be touched up when its scratched to bare metal. Otherwise, corrosion and pitting will allow more dirt behind the coating around the scratch and make the spot become larger over time. However, unlike iron and steel, you will not see aluminum degrade to the point of the structure being compromised or holes eaten into it. Aluminum fence and wrought iron fence share this trait. Aluminum fences have only been around for a few decades, but they were built to mimic the look of wrought iron and steel fences. That metal picket and rail style of fence has been around for well over 200 years at this point and have never really gone out of style. Even the most modern looking home can be accented with an aluminum fence in the proper style. A quality aluminum fence and gate gives an air of sophistication and beauty that many other types of fence do not. While fence types like chain link, vinyl and wood do provide a barrier, they are more functional than nice looking. In some instances, those fences can give a lower end look to a home whereas an aluminum fence can compliment and make a house much more attractive with better curb appeal. Unlike an iron or steel fence that is welded together solid, the lighter nature of aluminum allows it to be screwed together at the picket and rail junction. That screwed together construction allows the pickets to pivot or rack in the rail so that the pickets remain upright while the horizontal railing racks. This racking action means you can cleanly have an aluminum fence follow the slope and grade of your yard. Different styles and makes of aluminum fence can rack varying amounts, so if you are dealing with a sloped or hilly yard, be sure to ask how far the panels can rack. Our Infinity Aluminum line racks 8-10 inches over each 6ft wide panel. The lightweight and non-rusting attribute of aluminum is also a bit of a detractor when it comes to strength. While you can have a strong aluminum fence panel, aluminum pickets and rails are inherently easier to bend or mangle than their steel or iron counterparts. The screwed together construction of the aluminum fence that allows for racking also makes for a weaker connection point that allows the aluminum panels to flex more. Its much more important with aluminum that you look closely at the specs and buy your fence accordingly. A light-duty aluminum fence may look nice while new and be a bent and mangled mess after the first year if you have kids rocketing soccer balls into it. The screwed together construction of an aluminum fence panel is its downfall in terms of high security too. Anyone with a screwdriver can walk up to the fence, undo the screws and lift out enough pickets to simply walk through the fence line. You can mitigate this some by facing the screws inward of the property line, but that still stands a con against the security of aluminum fence since it can be disassembled so easily when installed. While choice and competition is good in most instances, I find it frustrating with aluminum fences. There are so many different makers of aluminum fence on the market now that its very easy to find. However, the quality varies immensely between brands. There are lots of ways to cut corners when making an aluminum fence. Unfortunately, most folks are looking only at style and price when buying an aluminum fence instead of looking at specs and the company’s reputation. Any fence (even a bad one) will look nice when its brand new. The problems that ruin a fence (cheap construction, easily broken, poorly coated, etc) don’t show up until after you’ve ordered the fence and installed it. At that point, it is a little too late to do anything. Having so many different fence makers of aluminum fence makes it tough to cross-shop and determine the quality. The harder it is to find information on the specs, company reputation, ratings of the fence; or the harder it is to find someone knowledgeable to speak with at the company via email or phone; the more likely it is not a quality aluminum fence. I hope these pros and cons of using aluminum fence and gates assists you in your search for a new fence. As always, if you have any other questions or concerns about using aluminum fence and gates, don’t hesitate to drop us an email or give us a call. We’re here to help! I've been working in the fence industry since 2009 with a wide array of installation, sales and marketing experience. 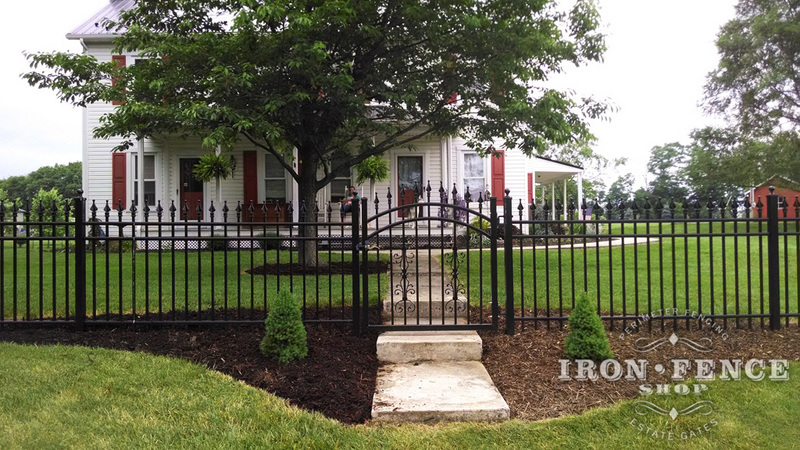 I've had lots of experience with different types of iron and aluminum fence and gate installations. 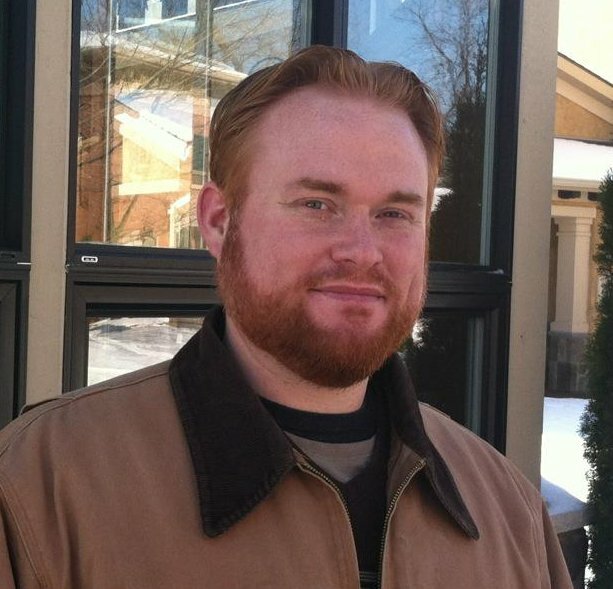 Generally a 'DIY' kind of guy when it comes to a wide array of projects. How Do I Order a Fence or Gate?